This post is part 2 of a 3 part series on how to create your own online store and own your own website without any technical experience required. The main point of these articles and videos is to convince you that you don’t need to rely on the Ebays, the Etsys or the Amazons of the world to sell goods online. There’s no reason to pay hefty selling fees when you can own your own online shop and keep all of the profits for yourself. In part 1, I showed you how to create your own fully featured online store website with just a few clicks of the mouse. Today, I’m going to show you how to make your website transactions secure with SSL and how to accept credit cards on your online shop. In an informal poll that I conducted with my newsletter readers a while back, most entrepreneurs want to start an online store but don’t want to be bogged down with technical details. They just want to start selling right away which is precisely why sites like Ebay and Etsy continue to prosper. But what most people don’t know is that there are many open source options out there that are completely free. And the best part is that all of these carts support SSL and a plethora of credit card gateways out of the box. What this means is that everything you need to run a fully functional shop that accepts credit cards and other forms of payment has already been created for you. You just need to know how to set things up and I’m going to show you exactly how to do it. Have you enjoyed my videos so far? If so, there’s more where that came from if you sign up for my full blown course on how to create a profitable online store. My course offers over 35+ hours of video and includes live office hours where you can ask me questions directly. Yeah, sorry for the length. It’s the type of video that you watch and do everything alongside at the same time. Do these instructions work anywhere? 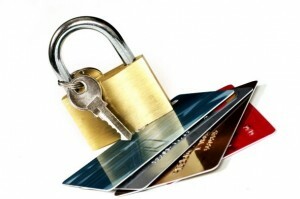 I have a website already and I want to process credit cards online. How much of this will apply to me? It depends on how you have your website setup and who your webhost is. Who is your webhost and what platform are you using? Does it support Authorize.net? Great tutorial Steve! I like how you did a time lapse to show how long it takes for the webhost to install SSL. Should be helpful to anyone looking to start their own shop. The power of the internet… is truly remarkable! The tutorial is great! Very detailed and easy to comprehend. Although the video is quite long but it is definitely a good resource for this matter. The pricing is outdated. Go Daddy is now charging $69.99 per year for standard SSL. You can always find a coupon for much less. But you are right they have raised the default pricing. If you need assistance getting a merchant account or a shopping cart, you can sign up with eWAY. We have helped more than 11,000 merchants get online and start taking payments through our seamless, secure gateway. Thank you for the informative videos. They have been very helpful. I am setting up a website (hosted by Bluehost, using OpenCart) in Taiwan. Do you have any advice or information regarding setting up credit card processing when the website is doing business internationally and has a business address that’s not in the USA? Steve, The information in your this video series is priceless! You make it seem so easy and rightly so. I’m setting up out of Dubai and Payment Gateways/Merchant Accounts are the biggest obstacle here. Thank you for sharing transparently & Good luck! I keep hearing the term PCI Compliant. Where does this fit in with open cart. Hello sir Steve. Thank you for the helpful tutorial. I have a question about the merchant plus information fill in questions . I am from the Philippines and we don’t have federal I.d . Can I still use merchant plus even if Im outside U.S? If I will be using Bluehost, can I purchase dedicated IP from other providers like namecheap.com as well? Thank you so much for this video – I love it!! And the link to set up a merchant account – it saved me TONS of time researching! I particularly love the $0 monthly fee for start-ups! But do you know if they will process from overseas? If not, do you have a recommendation for a company that does please? (I need to use Authorize.net.) Thanks so much for all you do!! Great video as always! Just a quick question: I checked out merchant plus recently and found that the free option is no longer available. Can you recommend any other brands that still offers this same service for free? I live in Europe, but I have paid for and started my own LLC in Delaware. So I do have my EIN #. However I don’t have a bank account in the US. Is there any way I can accept Credit Cards without having a US Bank Account? If not, how difficult (or easy) is it to get a Bank Account in the US? I do have my European Paypal however. can you recommend another authorize.net that still offers a free start up program? Merchant Plus no longer shows that option. Thanks for sharing, I was having issue while enabling SSL in my Opencart store, Here’s the guide that helped me to fix the issue (https://www.cloudways.com/blog/enable-ssl-in-opencart/) and also your post is very informative for beginners and professionals as well.